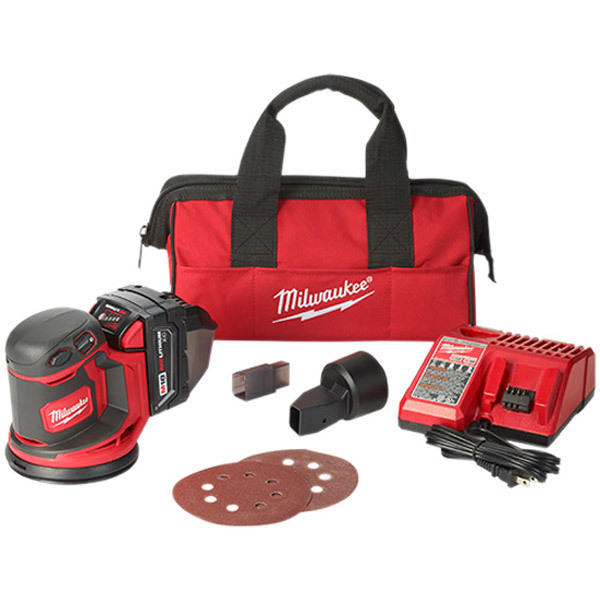 The Milwaukee M18BOS125-502 is a lightweight & compact random orbital sander containing a high performance motor which has the capability of delivering 14000 to 24000 sanding strokes per minute for a fast removal rate. This model has a variable speed wheel with six speed settings allowing the user to select the correct speed dependant on the type of material, whilst the built in dust extraction box (with internal filter) keeps dust contained and managed away from the user and work area. The universal hook and loop sanding pad allows the user to easily change the sanding discs. This model is compatible with all Milwaukee M18 Batteries. The REDLITHIUM-ION™ battery pack provides superior pack construction, electronics and fade free performance to deliver more run time and more work over the pack life.